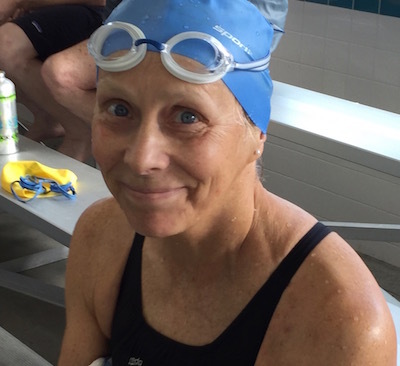 Diann Uustal nabs two national records at Leaf Peepers. 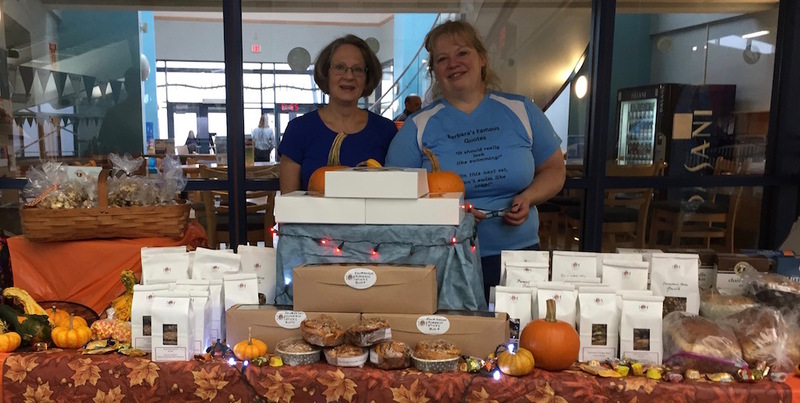 WHITE RIVER JUNCTION, VT - On October 22, the UVRays hosted their 8th Annual Leaf Peepers meet, famous for its friendly atmosphere, fast pool, and phenomenal awards table. 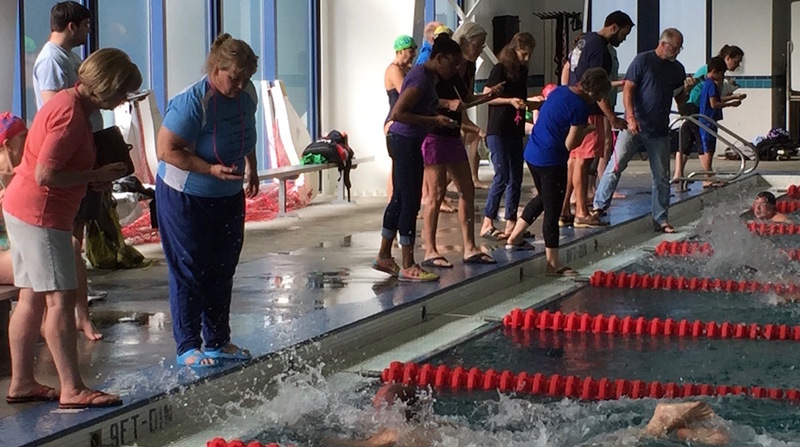 This year’s short course meters meet attracted 84 swimmers from at least 10 states and representing 24 workout groups. 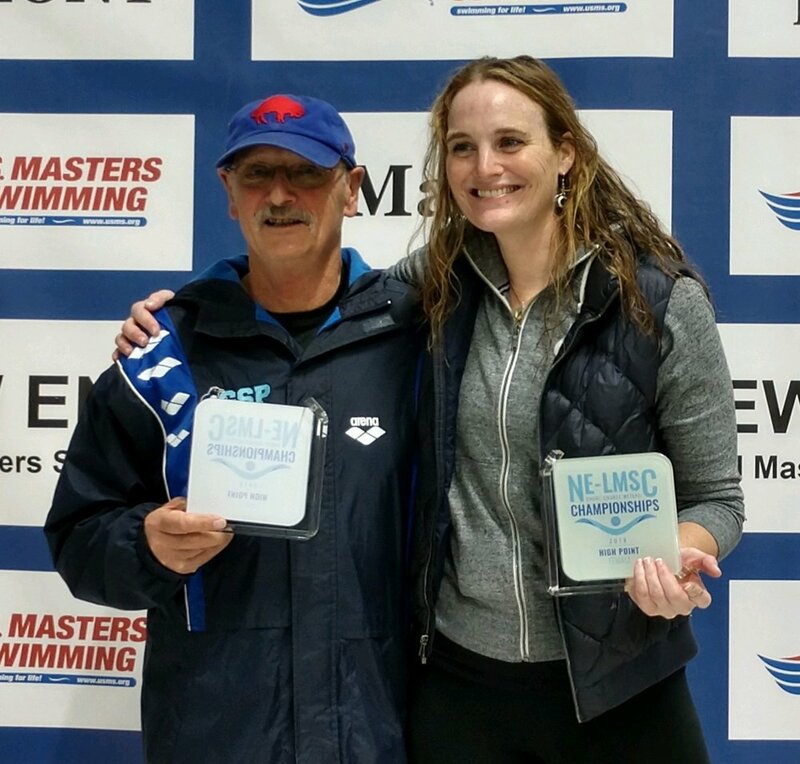 Diann Uustal from Swim Rhode Island was the meet’s outstanding swimmer, setting national records in women’s 70-74 100m backstroke (1:24.93) and 100m IM (1:24.30). 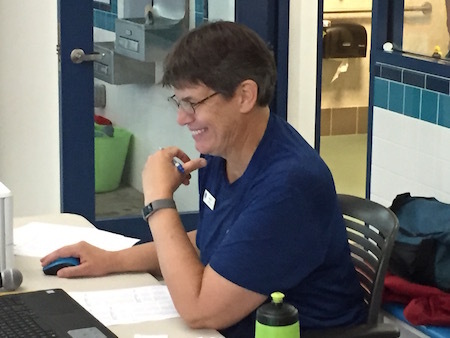 Diann’s 38.93 in the 50m backstroke was just 3 one-hundredths off the national record, but was good for a New England record, as was her 45.43 in the 50m breaststroke. 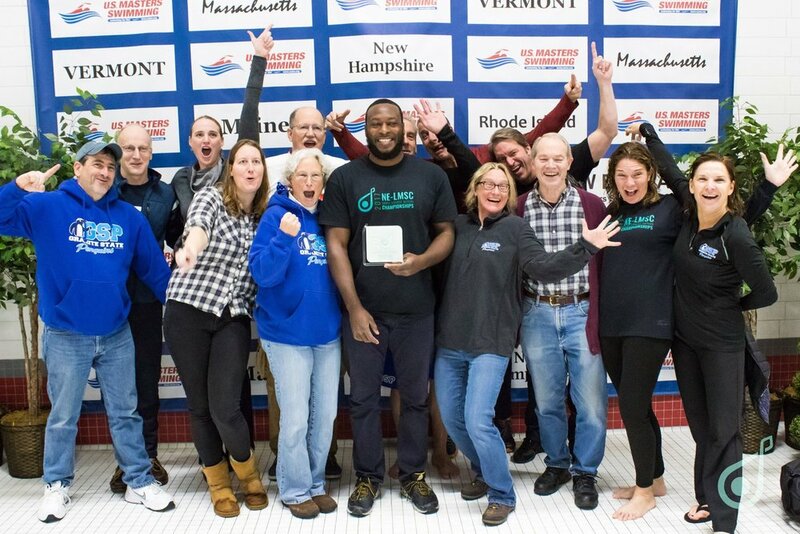 Greg Shaw of Keene Masters set three regional marks in the men’s 65-69 age group: 50m butterfly (31.03), 100m butterfly (1:10.40), and 200m IM (2:43.35). 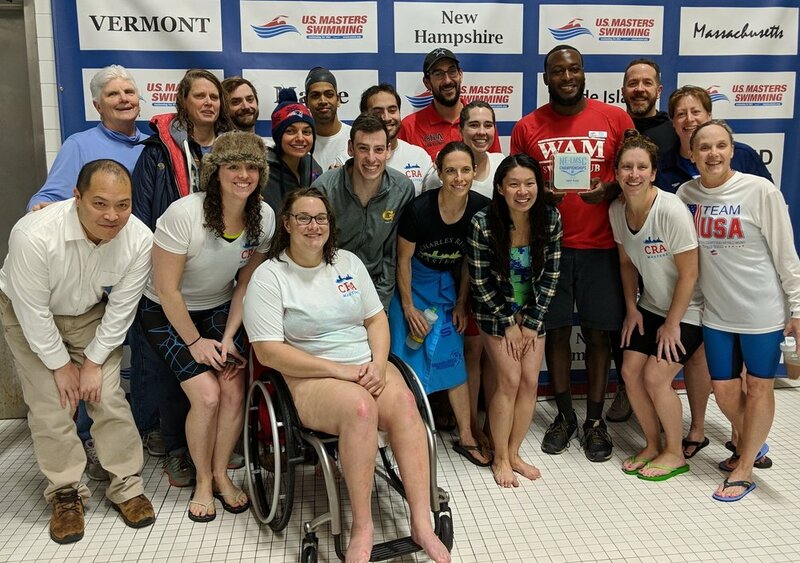 Fritz Bedford of the host team, UVRays, nabbed a New England record in the men’s 50-54 100m breaststroke (1:14.37). 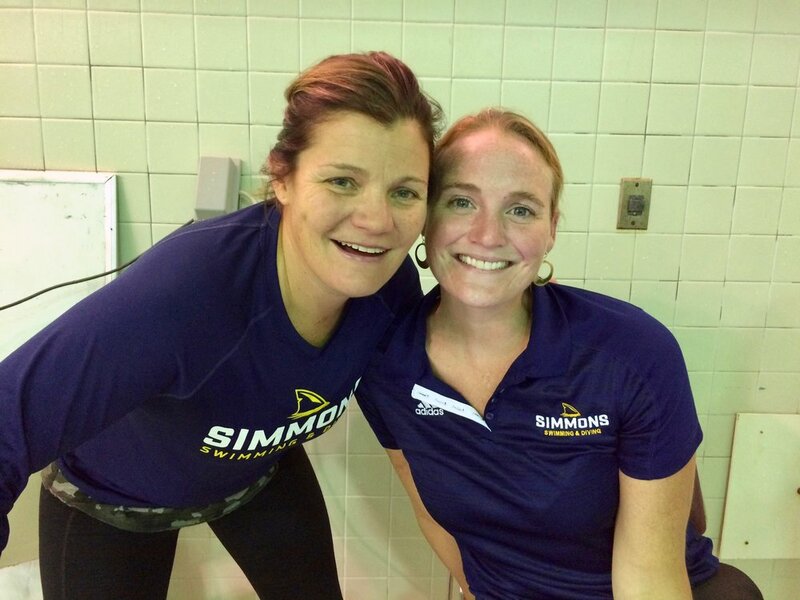 Beth Estel of the Granite State Penguins set a regional record in the women’s 60-64 200m backstroke (3:01.68) and Lee Ann Banks of Virginia set a regional record in the women’s 55-59 100m backstroke (1:20.91). This year’s edition of the Ice Breaker relay encouraged total strangers to become fast friends by swimming with noodles and apples and by howling through the dog-paddle leg. 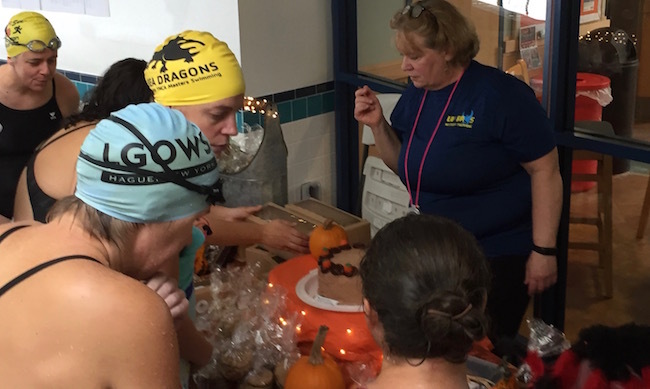 The renowned awards table, courtesy of UVRays Susan Reid and Sue Gray, featured dozens of pies, cakes, breads, brownies, cookies, and pumpkins as well as local maple syrup – ensuring a take-home prize for every swimmer.